I am concerned about chemicals in our environment whether it be contaminants in our water and air or illegal drugs. According to an article published in the July 16, 2017 issue of the Bucks County Courier Times, "over the past several years, more that 16 public and 200 private wells...were found to be contaminated with high levels of PFOS and PFOA, which come from fire-fighting foams. The problem is national in scope... The contamination has reached drinking water supplies in states as diverse as New Jersey, New Hampshire, Colorado, and Washington." 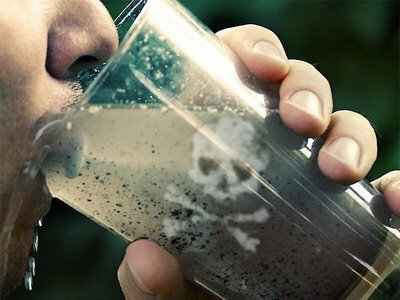 Fracking is another source of drinking water contamination. Although the Newtown Board of Supervisors supports the current ban on fracking by the Delaware River Basin Commission, which could expire in 2018, Newtown is considering joining Wrightstown and Upper Makefield in enacting an ordinance that would permit fracking in limited areas. Even if fracking is allowed but "not in our backyard" it will have an impact on Newtown's air quality and infrastructure due to the massive number of trucks required as part of the process. Therefore, I am firmly opposed to any ordinance that does not include strict measures to protect our area from fracking. The current opioid epidemic is a major public health problem that I have written about frequently in my blog and elsewhere. You can find news updates on this crisis here. Details of important public health related decisions made by the BOS in last 2-3 years. You can find complete minutes of BOS meetings here. Sarah Foisy, representing Council Rock Coalition for Healthy Youth, urged the Board to give careful consideration to zoning for medical marijuana dispensaries, noting that the introduction of medical marijuana to the community can pose many risks and dangers, including an increase in driving under the influence of medications and other crimes. Mr. Garton thanked Ms. Foisy for speaking on this issue and explained that Newtown, as part of a Jointure, must draft zoning ordimmces in conjunction with Wrightstown and Upper Makefield. As new uses are introduced, the Jointure carefully researches these uses and begins a review process for new zoning regulations. The [Newtown, Upper Makefiled, Wrightstown] Jointure is planning to consider zoning for both production and distribution of medical marijuana. Mr. Ferguson said that he, Mr. Lewis and Code Enforcement Officer Martin Vogt would be attending a seminar on this topic in February. Mrs. Dix suggested that the Jointure should also consider zoning should marijuana become legal for recreational use. Middletown Resident Richmond Shreve said that he wished to speak about the proposed JMZO amendment dealing with gas and oil drilling. He was very concerned that residents were unaware that this ordinance was being considered. A large group of concerned Bucks County residents met yesterday at Newtown Friends Meeting to discuss the proposaL They have created a Web site, nofrackingbucks.org and provided copies of the meeting notes as well as a report from New York State's study which eventually led to a ban on fracking. He noted that there are both a Pennsylvania State moratorium in Bucks County and a Delaware Valley River Basin Commission moratorium through January 2018 to allow time for full research and public participation. He discussed the real estate impacts where fracking takes place and urged the Board to not consider an ordinance which would allow fracking in the Jointure. Resident Steven Bacher, a member of Newtown Township's Environmental Advisory Commission, said that he would urge the Board to take time to completely study the issue of fracking and pointed out that the draft ordinance requires what appears to be a very low bond to cover costs of possible damage. He suggested that a very large bond should be required if the ordinance is adopted. He spoke of the environmental impact on the air and water and urged the Board to adopt a position banning fracking. [Listen to this podcast interview of Steve Bacher on environmental issues.] Mr. M. Gallagher said that the Board is in agreement with the residents and all of the members are opposed to allowing fracking anywhere in the County. The Board supports the current moratorium but is working with the Jointure to look at all issues of concern to its residents. This has been an exploration of ways to restrict and control fracking, as has been done in the past with other unpopular or undesirable uses, employing a strategy of providing a location for every use but selecting locations where land might not be available or where the use would be inappropriate. Mrs. Dix confirmed that she had attended the April meeting of the Joint Zoning Council where this amendment was first discussed. She said it was presented as a pre-emptive method of controlling fracking through zoning, fmding a way to allow but heavily restrict the activity. Mr. Calabro said that he is concerned that this is a serious health and safety issue and he does not feel it should be the purview of the State but rather the local government. He would like the Board to stand up to the State and "say no" to fracking. He noted that this is his personal opinion. The Commission reviewed a proposed JMZO amendment for oil and gas drilling and recommended that the Supervisors authorize advertisement. Attorney Terry Clemons, Wrightstown's solicitor, was in attendance to review the history of adopting ordinances as a way to prevent curative amendments and definitive relief, and to explain the importance of addressing the possibility that the current moratorium on fracking in the Delaware River Basin will not be renewed in 2018. If no ordinance exists allowing fracking, a gas company could acquire leases and ask the courts to allow drilling anywhere in the Jointure. By zoning a specific area within the Jointure where fracking would be permitted and placing various performance standards such as setbacks in the ordinance, the Jointure would be creating limited locations for this activity and the threat would be reduced. Mr. Clemons explained that the courts have been very restrictive in what a zoning ordinance can and cannot dictate and the ordinance can only address zoning and cannot dictate the operation of the gas business. A number of County residents spoke about the dangers of fracking and had concerns that the draft ordinance does not contain any protections of air and water quality, does not address 'pipelines and transportation of product or liability of gas companies for damages they will cause. The Commission members share residents' concerns and noted that our Supervisors have passed a resolution in support of the renewal of the moratorium and have been in contact with the Delaware Riverkeepers Network to continue the effort to forbid fracking in the Delaware River Basin. However the Commission is supportive of protecting the Jointure in every way possible in the event that the moratorium is lifted. Regarding the County's drug take back program, Mr. Calabro asked if there was a way to have a secure lockbox at the station so that drugs could be dropped off at any time. Chief Pasqualini noted that there are four drug take back events each year, and a drop box is available at the station during business hours, Monday-Fridays. Arrangements can also be made to have an officer open the station for the drugs to be dropped off. Call the Police Department to schedule. If there was a need for 24x7 availability, then it would be worth the expense and effort to make it work, but as of right now, there are other stations where drugs could be dropped off, including Bensalem Township which has a 24x7 manned station. Newtown Artesian Water Company Presentation. Mr. Ferguson reminded the Board that Mr. Calabro asked to invite a representative of the water company to give a brief overview of water safety in Newtown, as some nearby communities have had difficulties with contaminations. Daniel Algove, Assistant General Manager of Newtown Artesian, said that the water company's mission is to supply safe drinking water to its customers at reasonable rates. Recent testing has shown that Newtown Artesian exceeds all regulations set by DEP and EPA. The system has 10,000 connections to 38,000 customers. The system has five wells and also takes from PA American in Yardley and Bucks County Water and Sewer Authority. There are four storage tanks for emergencies, and the company partners with DEP to monitor for source threats. Test results are available to the public at newtownwater.com Mrs. Dix asked if any water comes from the Delaware River. Mr. Algove said that he believes that some of PA American's water comes from the Delaware. Mr. Ferguson asked if all of Newtown's water comes from North, above us. Mr. Algove said that all of the sources are coming from north to south. Mr. Calabro asked if the water company is a government agency. Mr. Algove said that they are governed by the PUC but are privately owned. Newtown Artesian Water Company Presentation. Upon the request of the Board of Supervisors, Mr. Dan Angove, Assistant General Manager of Newtown Artesian Water Company, reported on the quality of water and concerns of carcinogens based on a recent published newspaper article. The Company provides safe, reliable drinking water while maintaining cost efficient service to all of Newtown Township, Borough and part of Middletown Township. Out of the Company's 10 employees, 6 are State licensed operators. The Company is regulated by the PUC and governed by the DEP. Some of the hot topics of water are lead, copper, total chromium, PFCs and carcinogens. The Company exceeds all regulations. The newspaper article was authored by a California resident who was working for a company selling water filters. [NOTE: The was written by Kyle Bagenstose, a Bucks County Courier Times Staff Writer. Perhaps Angove was referring to, the Environmental Working Group (EWG), a non-profit organization that actually did the study and was referenced in the article. For more on that read "Newtown Artesian Water Company Defends Quality of Its Water"] The article was based on a study of health gUidelines whereas the Company follows State and Federal guidelines for acceptable levels. If there was a problem with the water, the Company would notify their 38,000 consumers via reverse 911 call or door hangers. There are four storage tanks around the system for emergency and fire protection. With the DEP, there is a source water protection for the rivers and wells all through Newtown. The sources of water for Newtown is from Bucks County Water (60%) and Pennsylvania American Water, and both attain their water from the Delaware River. The water is blended with 5 wells in-house for the remaining 40%. The basis of residents' concerns is the situation at the Willow Grove Naval Air Station. Mr. Angove believed there is no particular danger from that contamination to the Company's water and added that the Company proactively performs precautionary tests throughout the year. Over 40 tests are performed on a monthly basis and other tests, i.e. for carcinogens, are performed each quarter. Mr. Angove wasn't able to offer any information on how fracking could affect the water supply in the area. All consumer confidence reports, with sample results, can be found at the Company's website, www.newtownwater.com. and includes contact information for more information. This site is paid for and approved by John Mack.